Like everyone else this year, I like to look back over the past year. Last year it was the wine we drank. This year is the doughnuts I ate. Specifically, the Donut Plant doughnuts, all 18 of them. 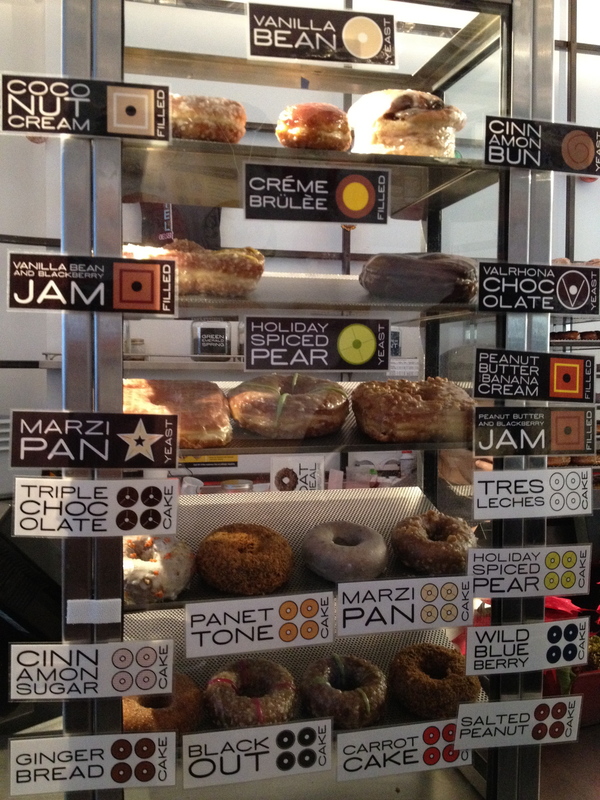 It’s become our Sunday routine: 10 minut walk to the Donut Plant, pick up donuts and head over to Eataly to get coffee. Sit with the Europeans sipping espresso. The newest Donut Plant opened in February, though we’ve ventured to the original in the past. I must have picked up the doughnut (or donut?) thing from my parents…they visit Gerry’s after church in Ellington. 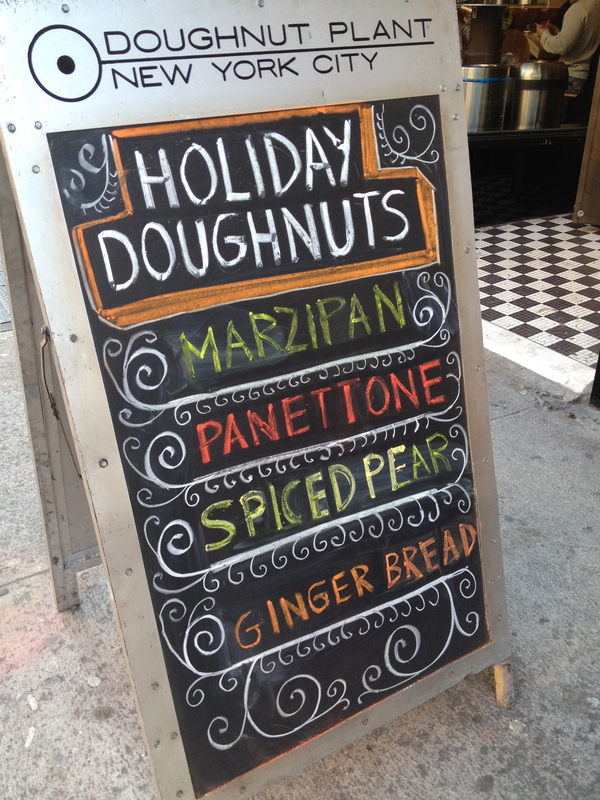 I love to sample the seasonal flavors….blueberry in summer, pumpkin in the fall. 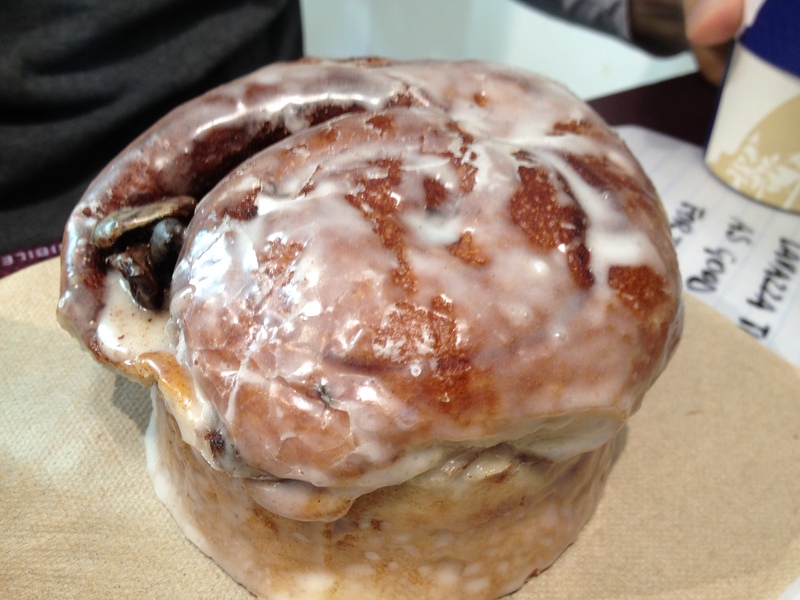 But throughout, M gets a cinnamon bun with big fat raisins. I do have my favorites: the oatmeal cake and the standard square jelly. But, let’s see, this year has been filled with: PB&J square, marzipan, chestnut, spiced pear, wild blueberry, raspberry, tres leches, blackout, apple cinnamon, pumpkin cake, pumpkin yeast, carrot cake, pistachio, banana pecan, simple glazed, creme brulee, coconut cream, and oatmeal. And a note: I don’t eat doughnuts all the time. It’s a mile walk from home to our end point, and I eat eggs and veggies for dinner sometimes. My weekdays are steel cut oats or scrambled eggs. And the full selection inside. 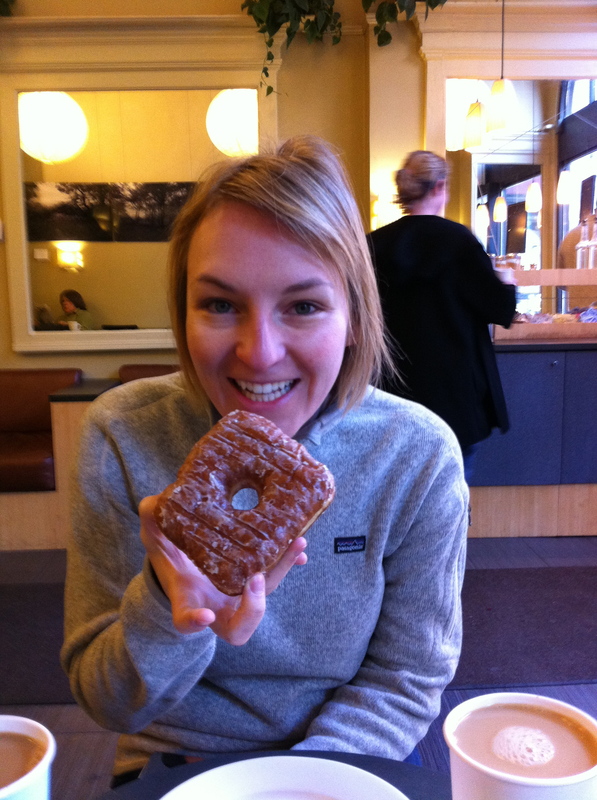 Here’s to a great 2012 and more doughnuts!